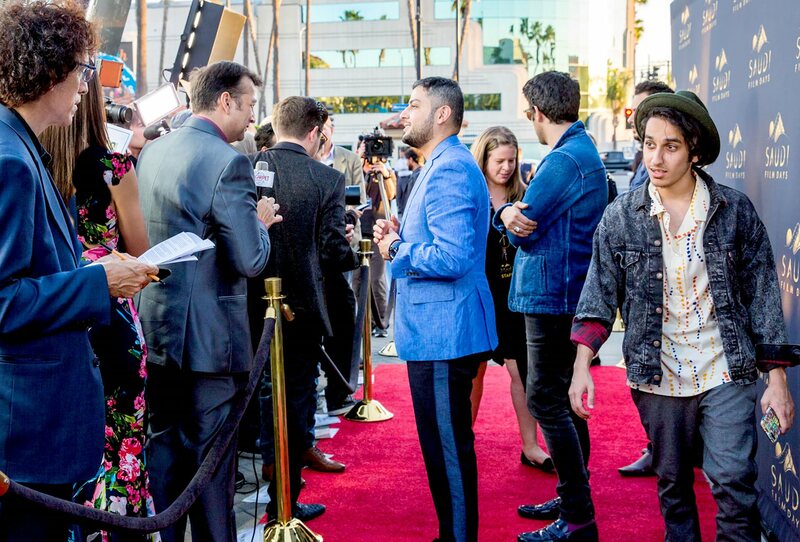 On the red carpet at Hollywood’s Paramount Pictures, 21-year-old Meshal Aljaser steps up for questions about his film as, behind him, fellow directors Bader Al Homoud and Ali Alkalthami talk to the press. 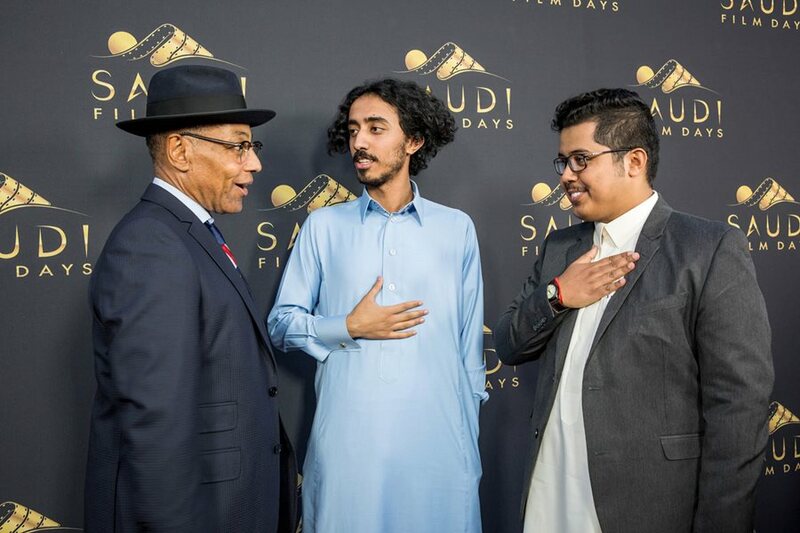 Hollywood actor Giancarlo Esposito meets Saudi actors Mohammed Al Hamdan and Ahmed Al Arwi. “I’m here to support,” Esposito said. 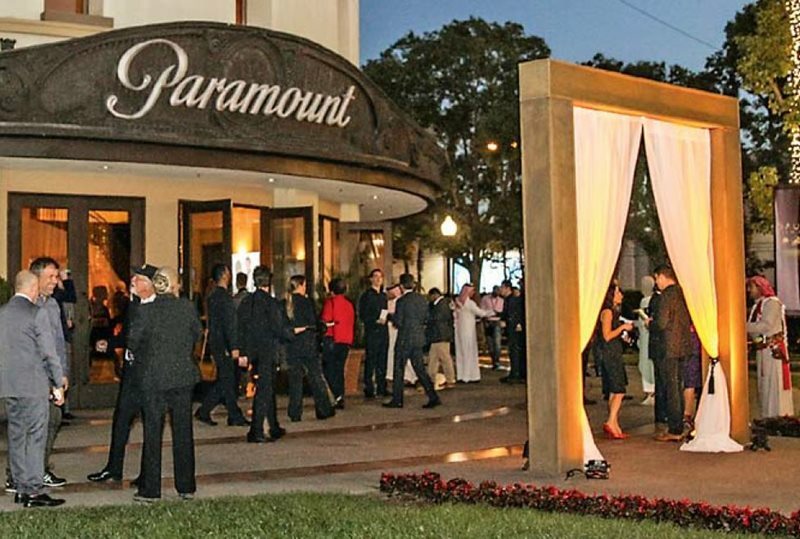 From left, directors Alsumayin, Alkalthami, Al Otaibi, Aljaser and Al Homoud discuss their work with the Paramount theater audience after the November 3 screening. 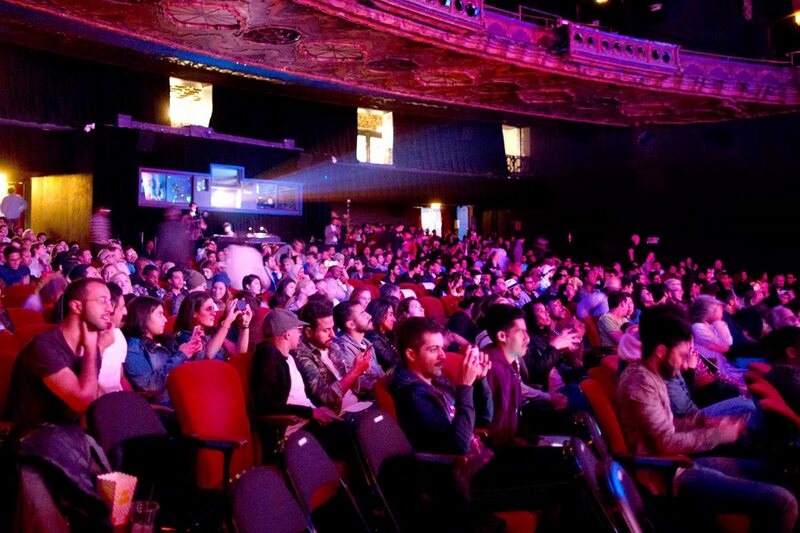 Viewers watch, record and share during the screenings at Los Angeles’s historic Theatre at Ace Hotel.